There has been so much written about the magnificence of the Grand Canyon, it is almost redundant to venture into any verbal description or commentary. For many centuries, Native Americans have inhabited the Canyon. Ancestral Pueblo people developed from the desert culture as they became less nomadic and more dependent on agriculture. History is that the Hopis brought the Spanish to the southern rim of the Canyon in 1540. Of course there is nothing close to the Canyon in Europe in majesty or magnitude. It is just well, The Grand Canyon. You can only imagine what these first explorers were thinking and feeling as they stood on the South Rim. Of course viewing the Canyon, marveling and appreciating it's grandeur, that is certainly a worthy and breathtaking experience. Now walking the Canyon is an outstanding adventure that requires thought and preparation, but is a goodly distance from either rim down to Colorado River. 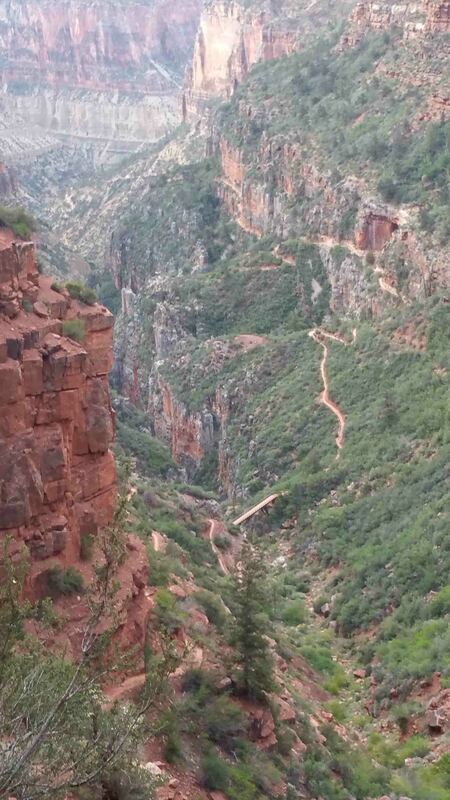 Then again taking on the Canyon, traversing from Rim to Rim. Well, that is an endeavor few have attempted, and fewer still have conquered. So, when my friend and business associate Michael Stahulak, from west Chicago casually wrangled me the proposition of running the Rim to Rim with a slight hint of a challenge, how could I possibly decline? Ok, I'm in. It seemed like a good idea at the time. I later learned that his running Club, was composed of ultra marathoners, iron men and women, triathletes and basically a combination of extreme endurance types. Oh and by the way, they turned out to be really first rate classy folks from the Midwest. Although this venture was never on my bucket list, now that the commitment was made, I needed to get my mojo in gear. Of course, preparation or training is physical. However, and this is just my own personal experience: doing a marathon or a long distance run or hike, is also psychological and spiritual. Know yourself and your realistic capabilities. Know your comfortable pace. Stay within yourself and listen to your body. Know the terrain, and stay properly hydrated and fueled. Be focused and alert to potential problems like blisters, weather, and you might want to make sure not to step on a rattlesnake. Most of this is common sense -- but common sense isn't as common as we may think. If you have ever tried, you know there is no real easy way to get to the North Rim of the Grand Canyon. There is a shuttle service that will drive you from the South Rim the 4 and a half hours around to the Grand Canyon Lodge on the north rim. There are these tiny little cubicles on the north rim stacked together, something between a one room cabin and a hermit's hut. So, after a pre game day meal at the lodge, with much excitement and anticipation for the dawn, one tries to get as much quality rest as is possible. The "Canyon Clutchers" were up and eager before the sun rose, as was the shuttle van rolling the 2 miles to the Kaibab trail head. There was that faintest hint of light in the east as the cool morning air filled our lungs as we dropped rapidly over the shelf. The light increased with each step as the monumental expanse unfolded with more and more clarity. 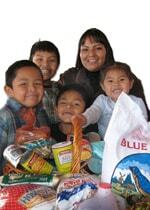 The Blessing Way is an ancient religious Navajo prayer chant. I am certainly no expert, but the prayer invokes healing, harmony with all creation, and peace. Indigenous peoples were walking this Canyon for many centuries. May you walk in beauty. It was almost as if the author had the Canyon in mind when composing the prayer. The natural cornucopia, the kaleidoscope of colors, and the endorphins kicking in are almost a sinful cocktail. As the morning sun started to pop over the eastern rim, one of the more ambitious "Clutchers" broke into a steady gate, rolling and rambling down the gentler slope. When we reached the junction to Ribbon Falls, the sirens were beckoning, but I stood a while to give directions, but the call to move forward was strong. I forged on solo to Phantom Ranch. The Ranch was an oasis providing rest and refreshment as the temperatures started to climb and the sun was making a statement. We were now 15 and half miles into the journey, at the foot of the Colorado River. After a quick snack, and as the Clutchers kept arriving, the trail again was calling. There was time to smell the cactus roses, but a stronger voice was urging me on. Crossing the steel expansion bridge, one finds a sandy trail on the southern River bank. There is no cover and it is hot. After some tough slogging for a few miles, there begins a slow ascent after the River Resthouse. The climb is steady. There is a long and open stairway. As the sun beat down I was conscious of the small bits of shade during the heat of the day. I found myself gravitating to whatever shadows might present themselves upon the trail. A couple of times the horse and burrow parades would come down the trail heading for Phantom Ranch, pasting me against the rock cliffs. So, I hustled up the trail, like climbing a seemingly endless stairway, feeling hot and fatigued, and trying to calculate my water reserve. I was relieved when I saw the sign for Indian Gardens. The Garden is a huge canopy of tree cover right on the creek. There a camp and picnic areas with gushing fountains. I cannot tell just how welcome an oasis this water hole is, just short of 5 miles from the South Rim trail head. I wasn't exactly labouring, but I was definitely wilting, and in need of water replacement. This is where things get tough. After over 20 miles on the trail in the heat, one must take on the most rigorous part of the journey. The last 5 miles of the ascent are almost like climbing a ladder of switchbacks. There are open areas and blind corners. You think you are seeing the top of the Rim, but it is as if your mind and eyes are playing tricks on you. You look up and see a dozen switchbacks and grind your way back and forth. Then you come around a large rock formation and look up and behold yet another dozen or more switchbacks. As I was lifting, pulling, and exhorted the old body up the cliff, somewhere about a little more than a mile from the top, I heard a fresh voice "Hi Bill". It looked around to see Shawn, one of my Chicago mates whose eyes were twinkling. He was eager to lighten his pack and started tossing me a canteen "Try this, it is really good". He had made me some electrolyte concoction. Although it has a funny taste, anything wet was good, and I sucked it down. Shawn took off like a deer,leaving me feeling partially exhilarated and steeled for the final ascent. As I approached the top, there seemed to be many folks coming down the trail,not to greet me obviously, but somehow by my look and appearance they detected it had been a long day. There is something about a smiling face, encouragement, and well wishers urging you on towards the end. This is true of all life, but especially true in the final gruelling steps. I cannot possibly do justice to the emotion that fills the soul as you look back and behold a great wonder of world. "The Canyon!" Long may she live. I had embarked on this excursion in my own small way to pay tribute to the Native People, their lands, their culture, and their legacy, and in quiet thanksgiving for the good life I have been blessed to lead here these past 26 years.